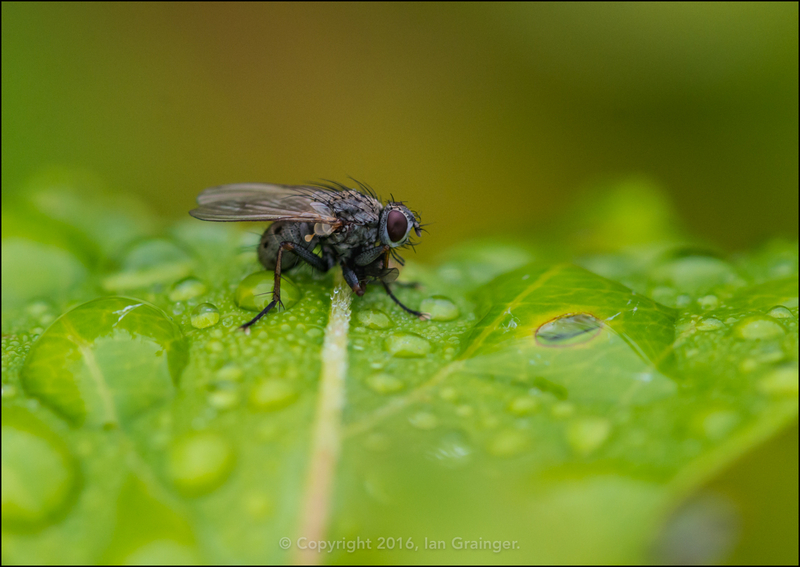 With it being so wet this weekend, I wasn't expecting to be shooting insects, but then I stumbled across this fine specimen drying out on a leaf. 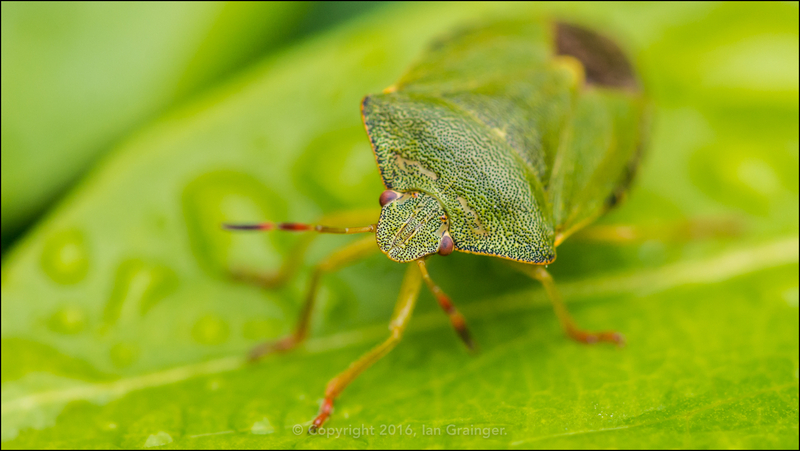 There were actually quite a few Green Shield Bugs (Palomena prasina) hanging out within the foliage, all very well camouflaged and obviously quite difficult to spot. ...and its metallic green looking body armour! 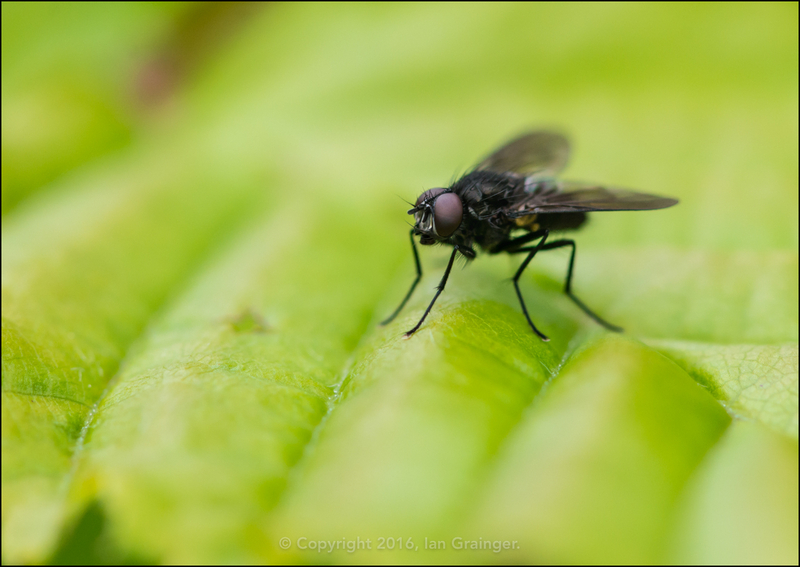 It's quite difficult to see from this shot, but this Fly was enjoying a quick snack and was eating a much smaller fly. I was struck by how dark this one was. I don't think I've ever seen a Fly that looked so black. 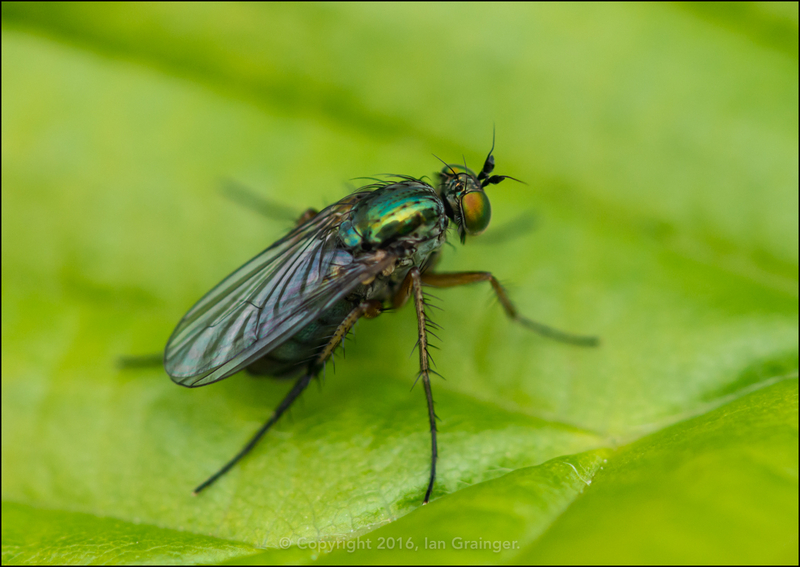 This House Fly (Musca domestica) is the only species I'm able to name, although it wasn't in the house! 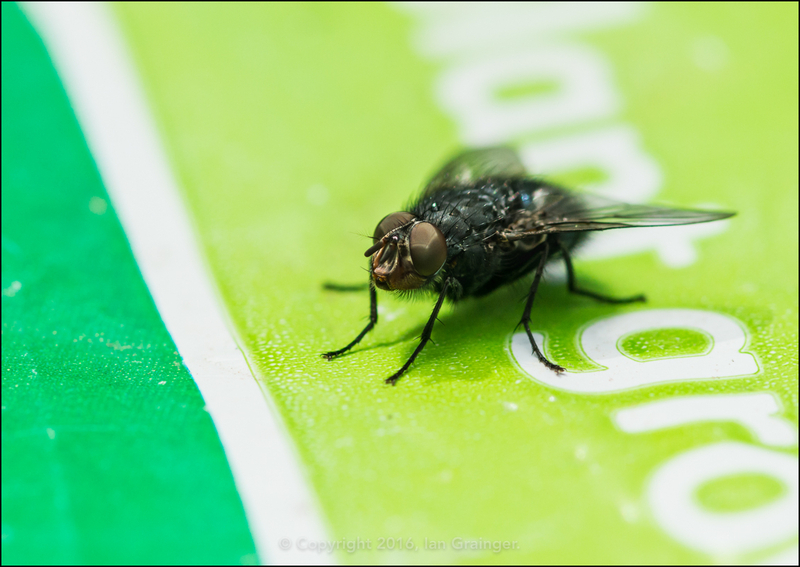 It was sunning itself on top of a plastic compost bag. 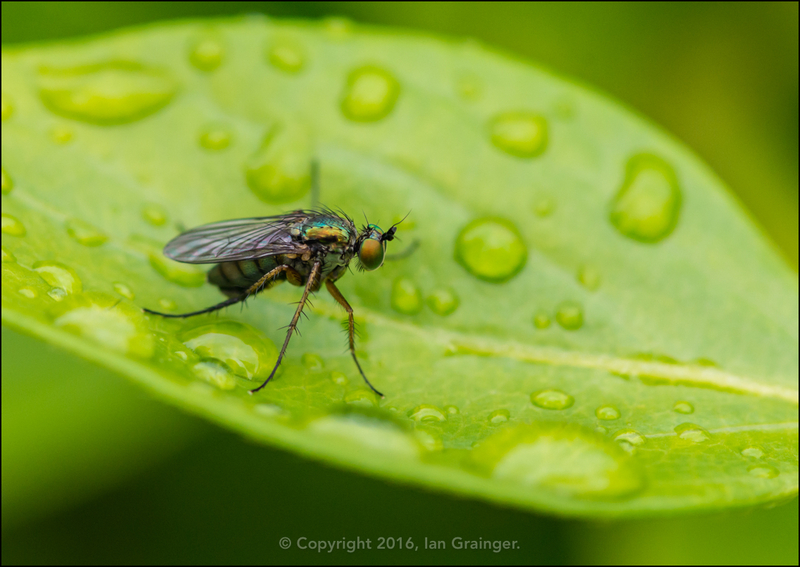 I must admit to being fascinated by Flies, although with there being over 100,000 known species in the True Fly (Diptera) order, I'm ashamed to say that at the moment I can only name about 10 of them!!! While I was hunting through the hedges for Flies, I came across this chap. 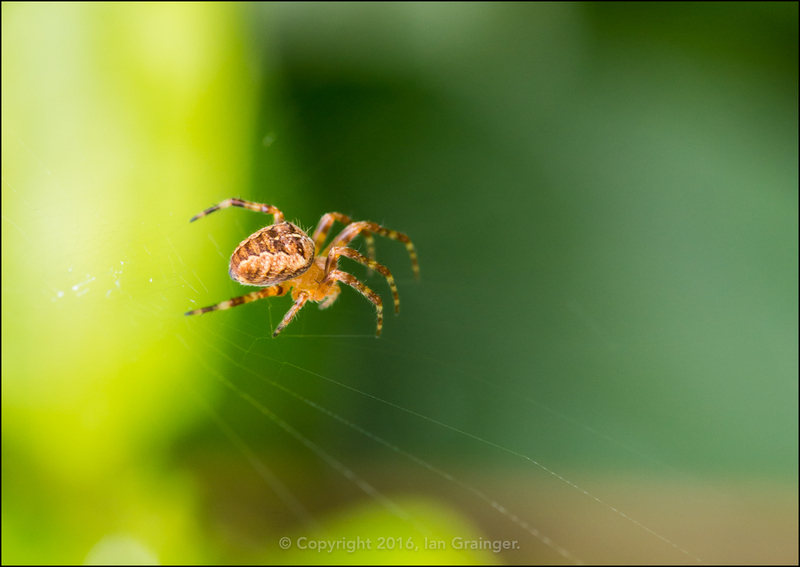 A Garden Spider (Araneus diadematus). These are the guys that leave the orb shaped webs that fill up with dewdrops in the autumn, and I don't remember seeing one in springtime before, so it was a nice find for me. 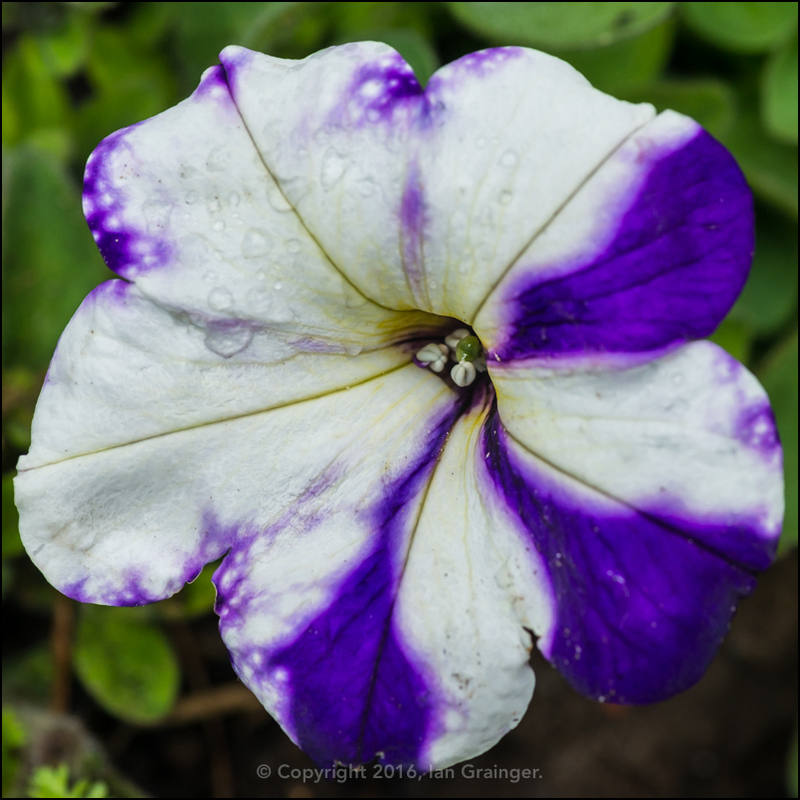 I've become a bit fascinated with Petunias in the last couple of years! There are so many different varieties that I never tire of looking at them. 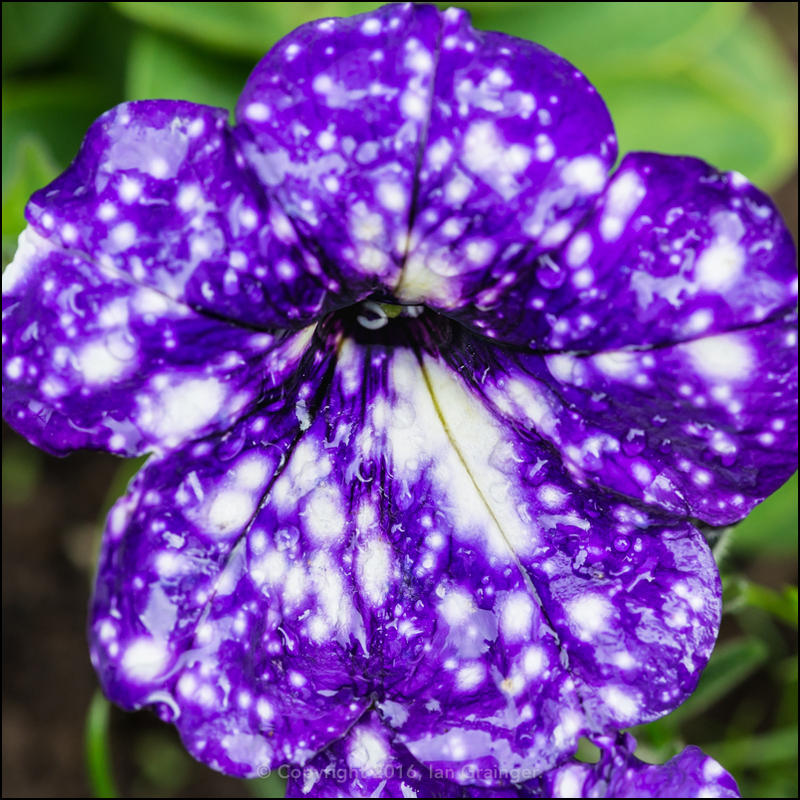 This is variety Night Sky that I grew from plug plants earlier in the year. This one is also supposed to be Night Sky but it obviously hasn't quite come true. 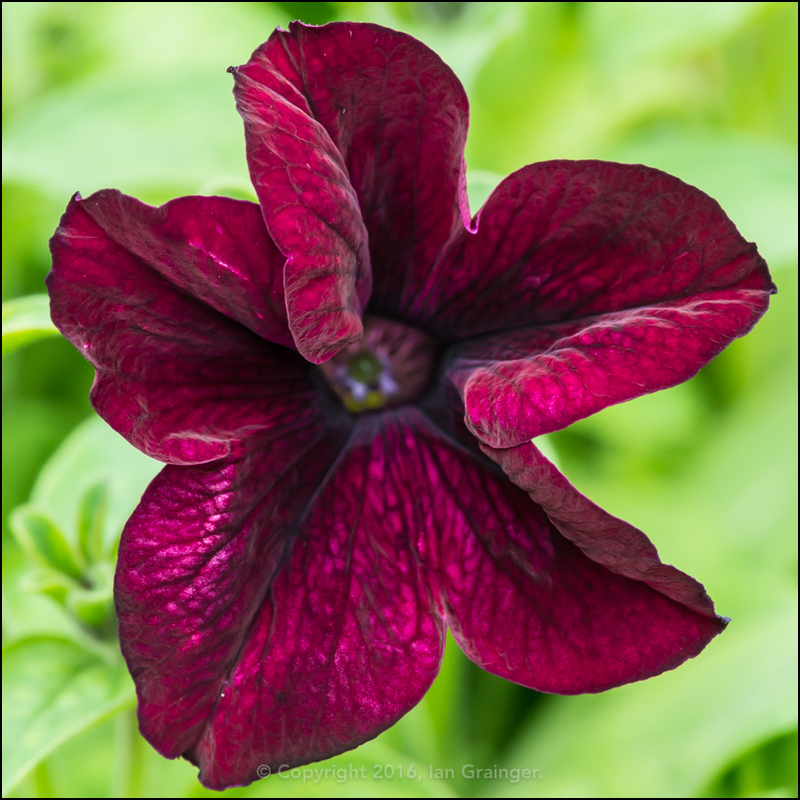 I was particularly taken aback when this Maroon variety started to bloom. 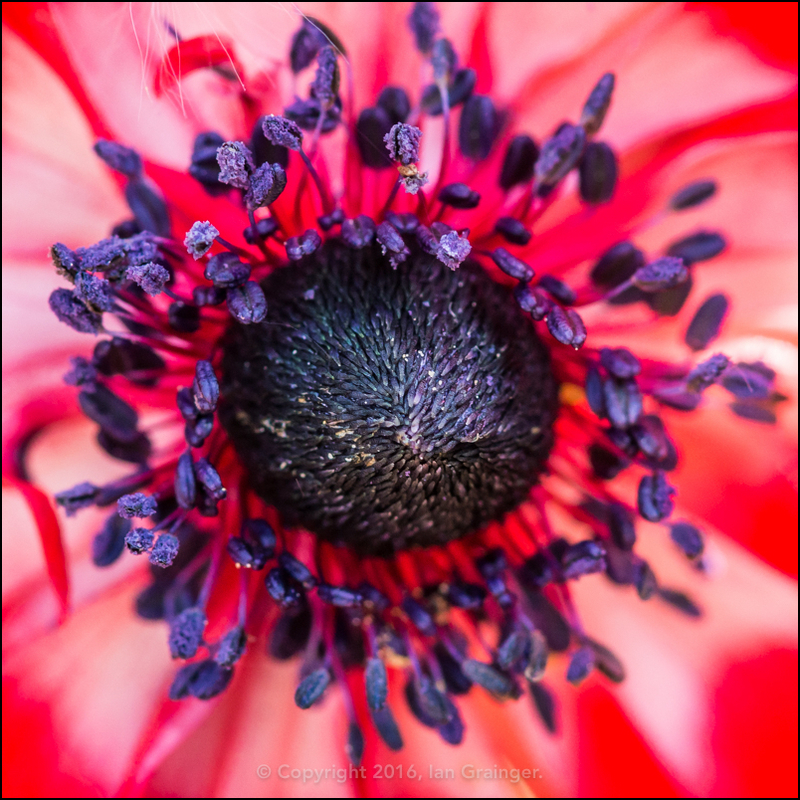 Don't you think the petals look like velvet? 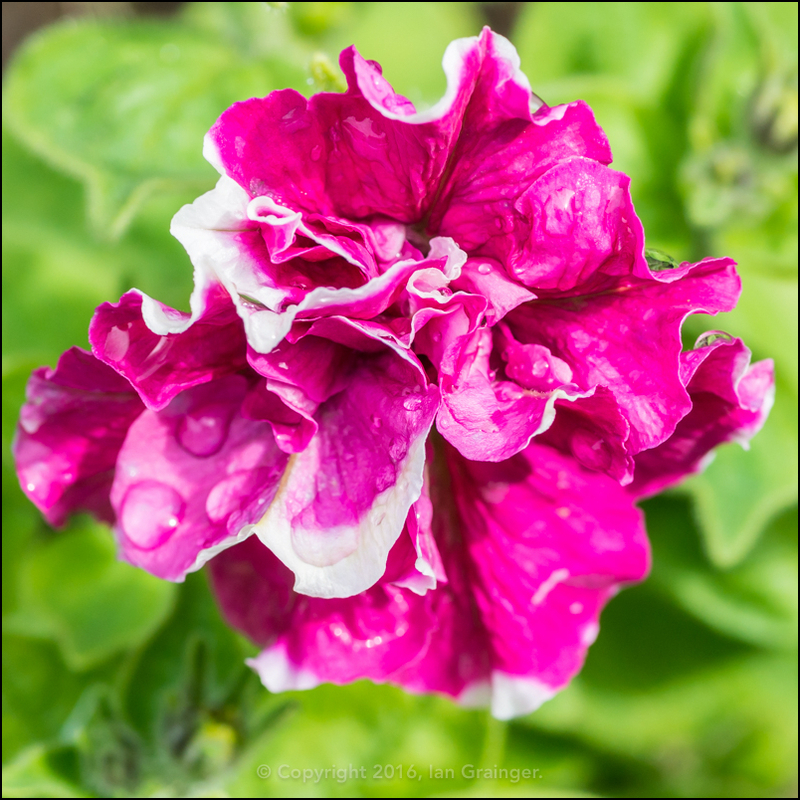 This pink variety is also rather striking, and will brighten even the darkest of corners up on a dull day. They also come in Double varieties, which although pretty, make it more difficult for the bees to access their pollen, so I tend to stay away from these. 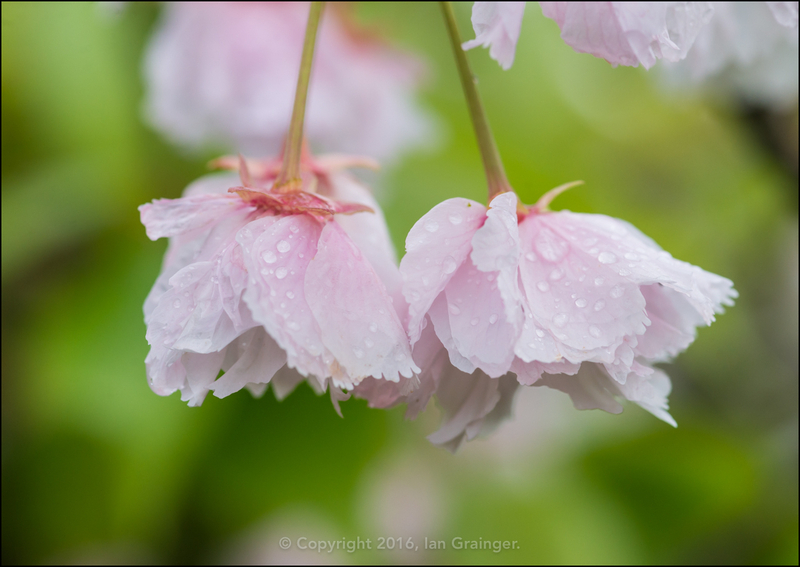 The Cherry Tree (Prunus) blossom has almost finished in my dad's garden, with the lawn being covered in discarded petals. It only lasted for a couple of weeks, but was worth waiting for, even for such a short time. 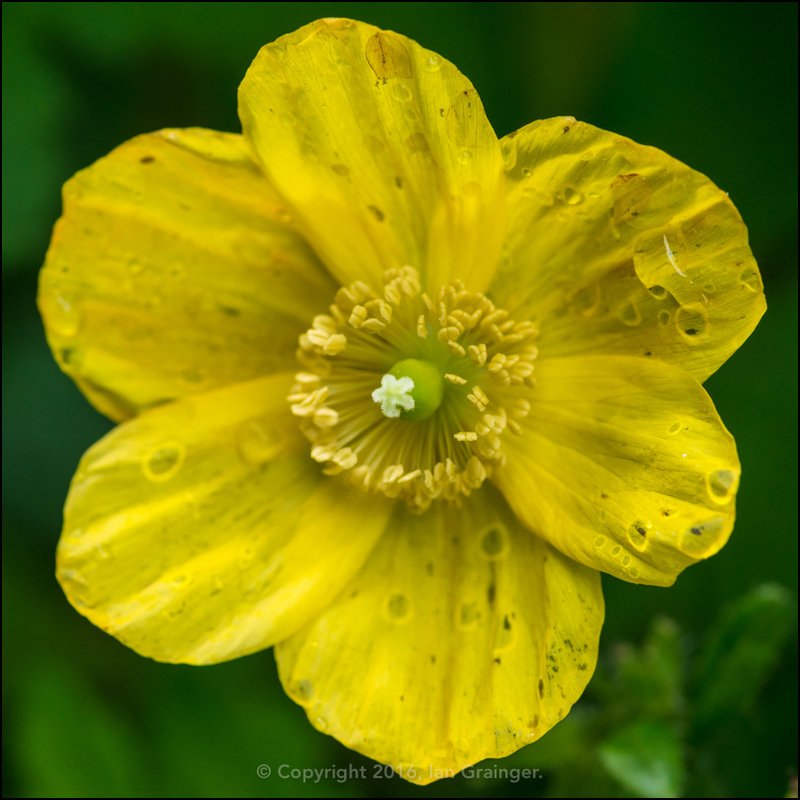 I was quite pleased to find this yellow Welsh Poppy (Meconopsis cambrica). The garden is usually awash with the orange varieties, and yellow ones hardly ever seem to pop up. I don't know whether it's the soil conditions that determines the colour, or what, but I'd like to see more of them. 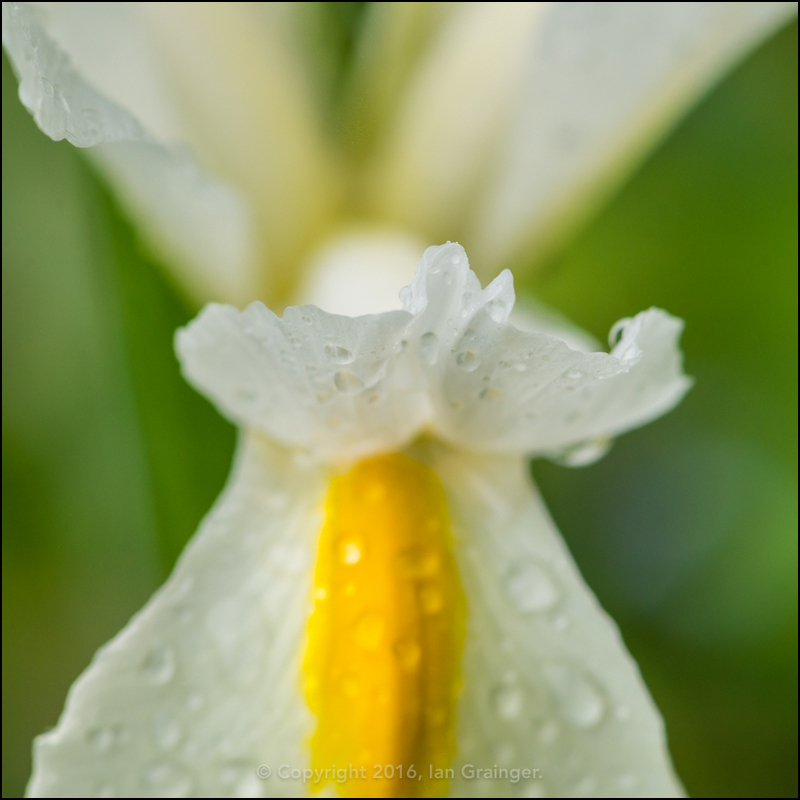 New plants in dad's garden this week included this lovely white Dutch Iris (Iris × hollandica), which I could have sworn was blue last year! 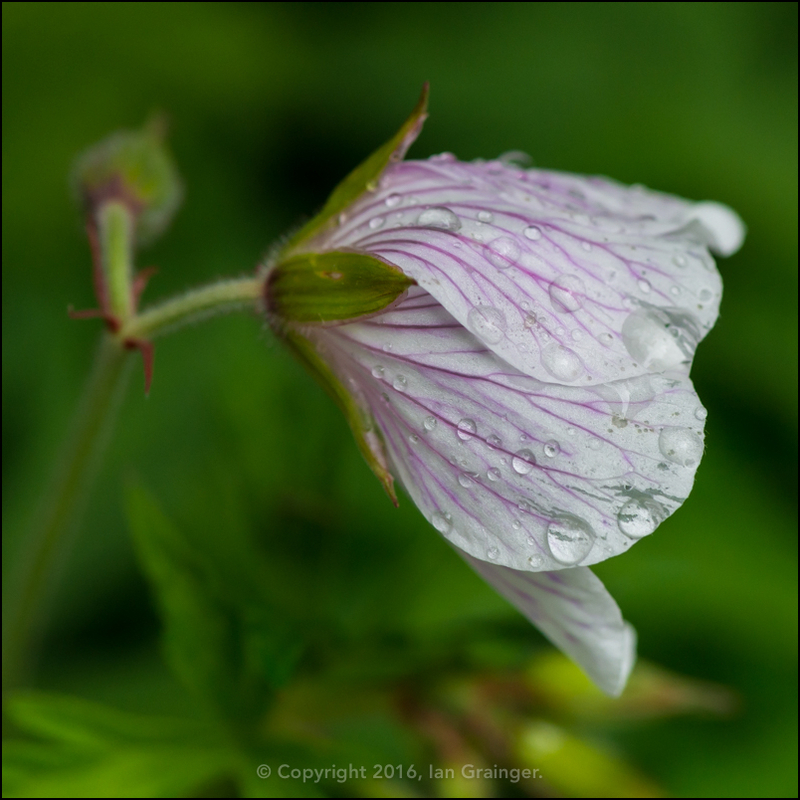 There were also an abundance of Hardy Geraniums coming into flower. I'm not sure which species this is, but it comes back year after year, and has done for about a decade now. 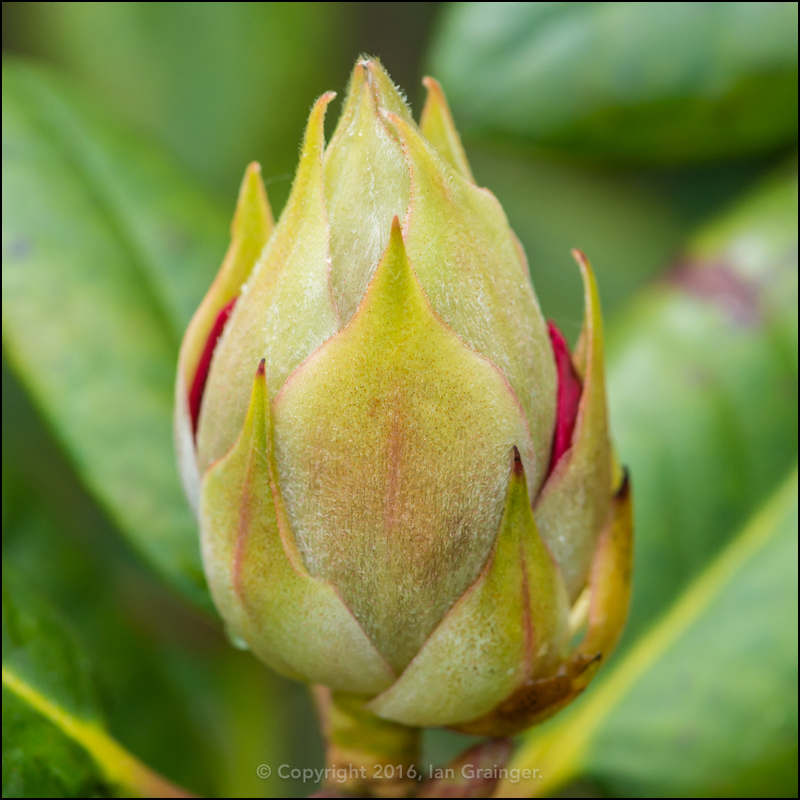 The Rhododendron bush is finally showing signs that it will spring into bloom in the next week or so. 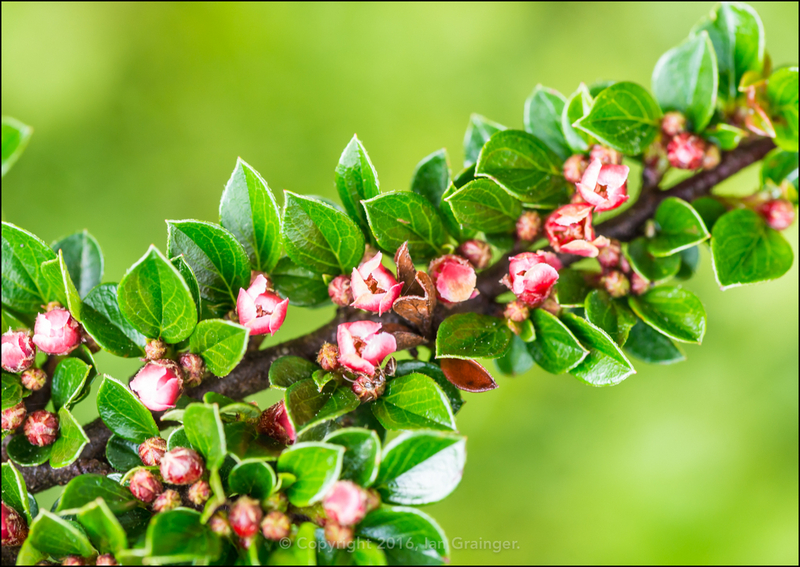 This particular shrub has had buds for about four weeks now. 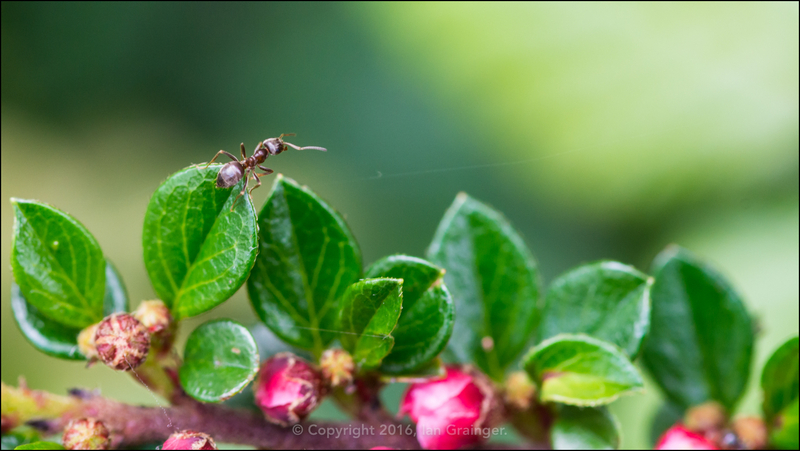 ...with this Ant (Hymenoptera) seemingly enjoying exploring the newly arrived flowers. I can't let my visit pass without a picture of my garden companion. 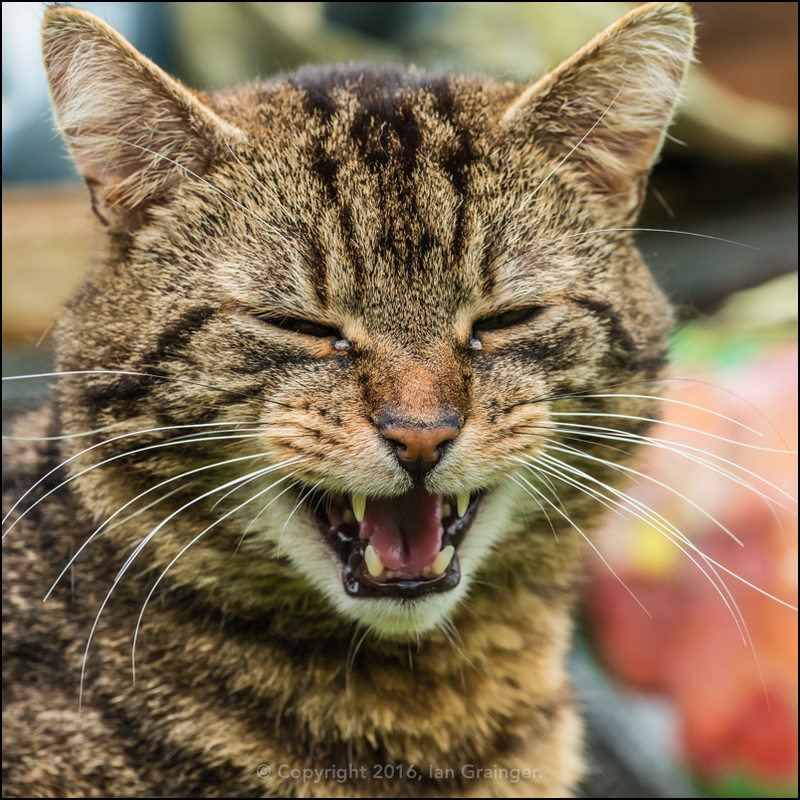 This week he decided to constantly sing, well, Meow to me as I went hunting for my images. Back in my garden, I had a new plant, donated by a friend, and the bees were loving it. 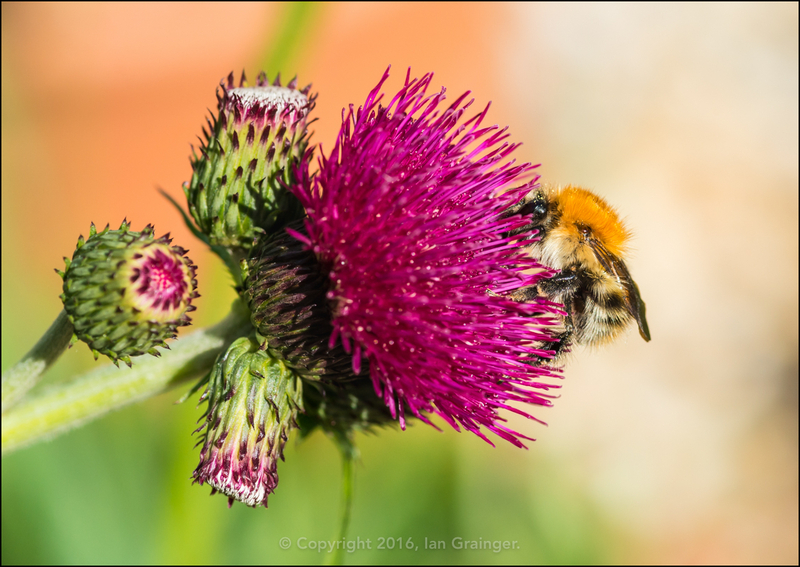 This is a type of Thistle called a Cirsium. Just when I thought the Anemone's had finished, I found this lovely red specimen popping up below my Dicentra plant. 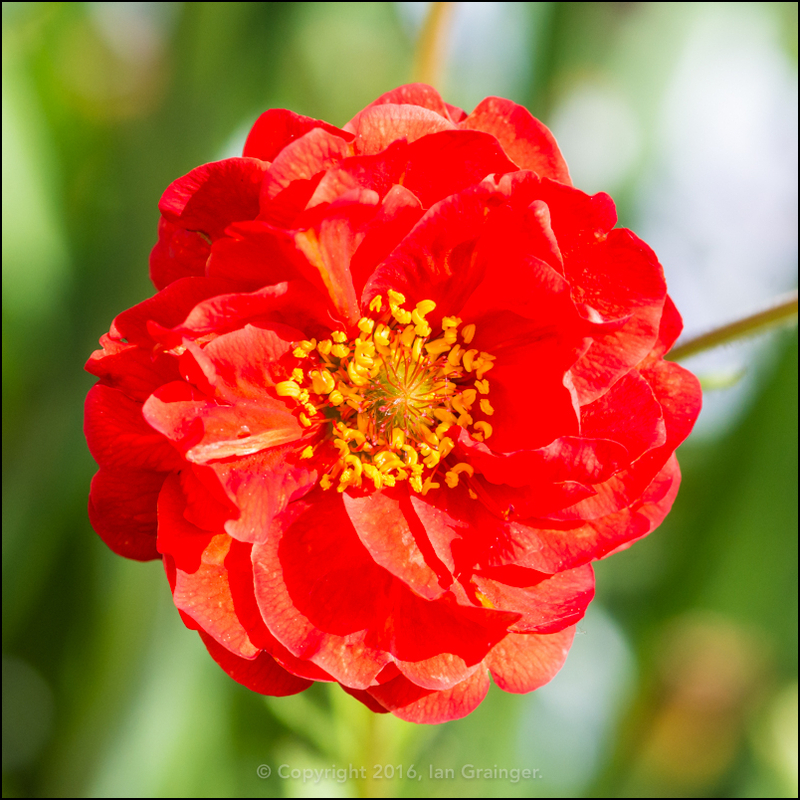 Last week I shared with you an image of one of dad's Geum's, but this week it's my turn. This is a variety called Mrs Bradshaw (I think), and it has returned from last year. 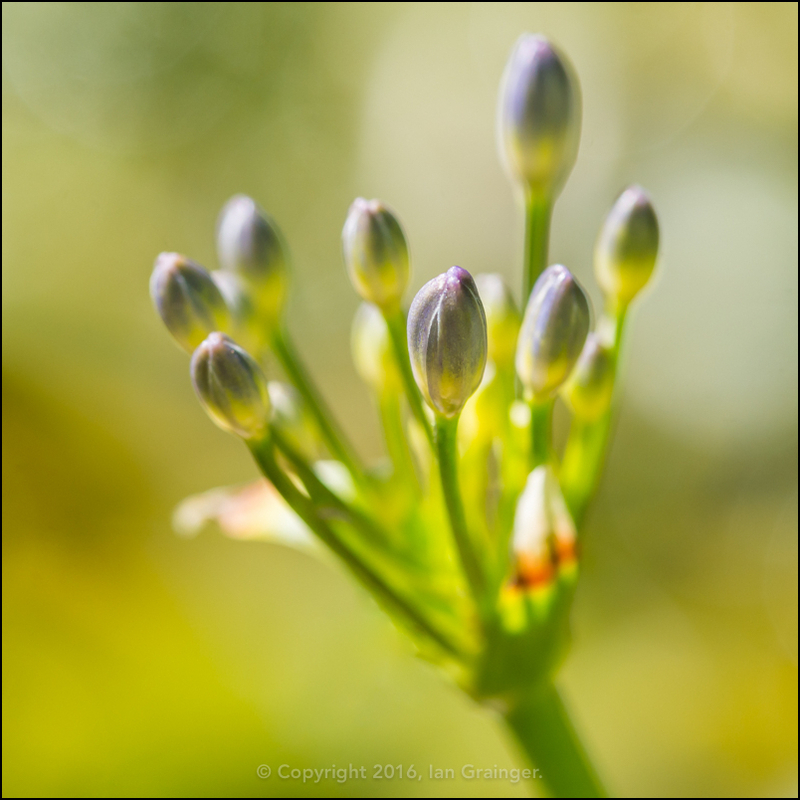 One of my Agapanthus is making good progress, and if we have a bit of sun in the coming week, it may even be in flower by the time I post next week's article. 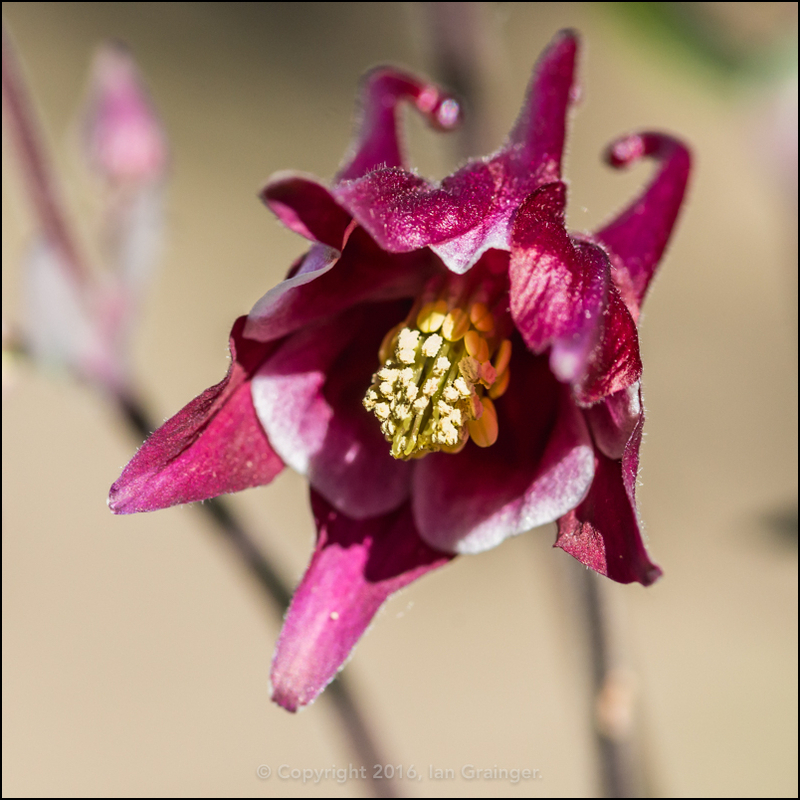 I haven't managed to kill off my Aquilegia Winky Rose yet, and it finally opened up some of its flower buds. The flowers are very small and not very impressive at all, which is a bit of a shame, but at least I've got an Aquilagia in my garden again! 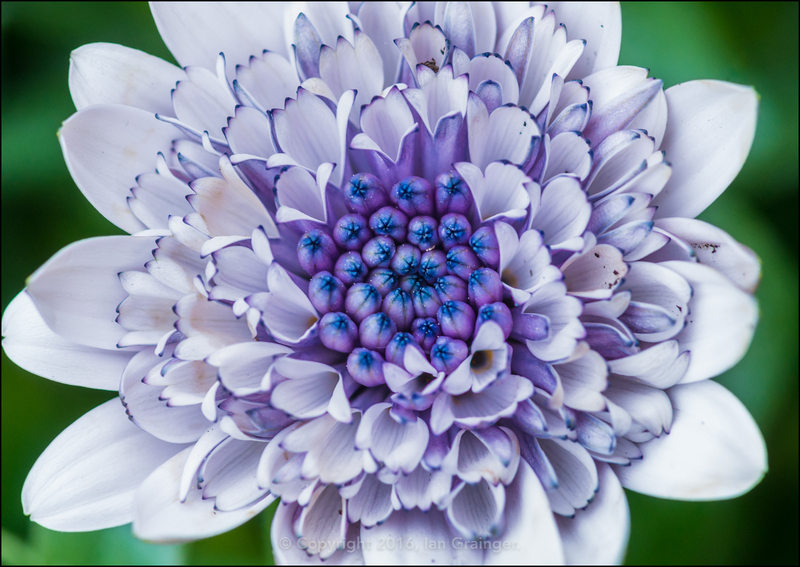 Slightly more impressive is this Osteospermum bloom, which turns out to be a Double. 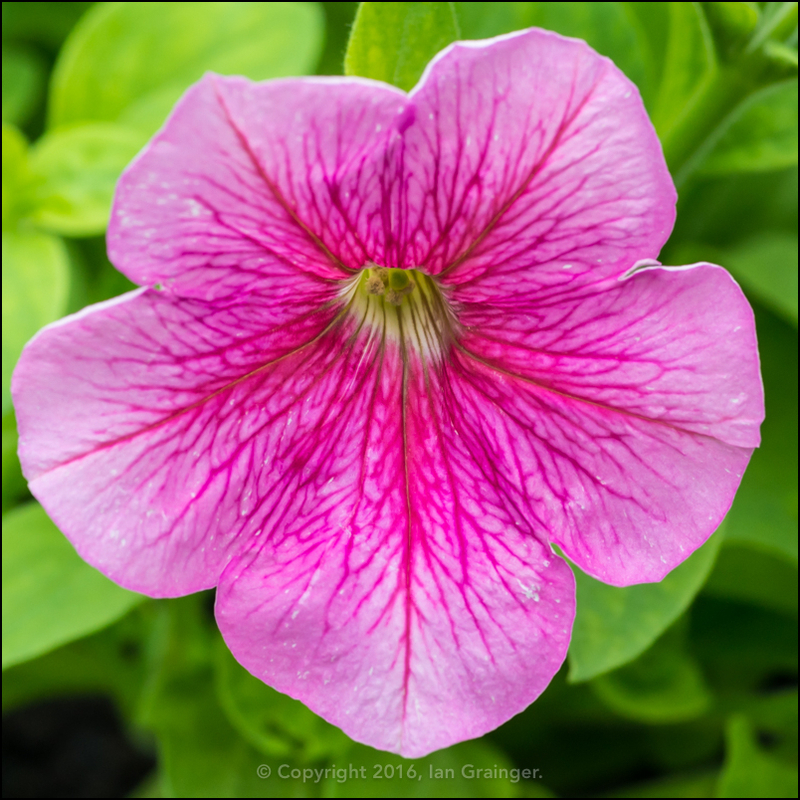 Like I mentioned earlier with the double Petunia, I would have preferred the single variety, but you can't argue that it's not pretty! 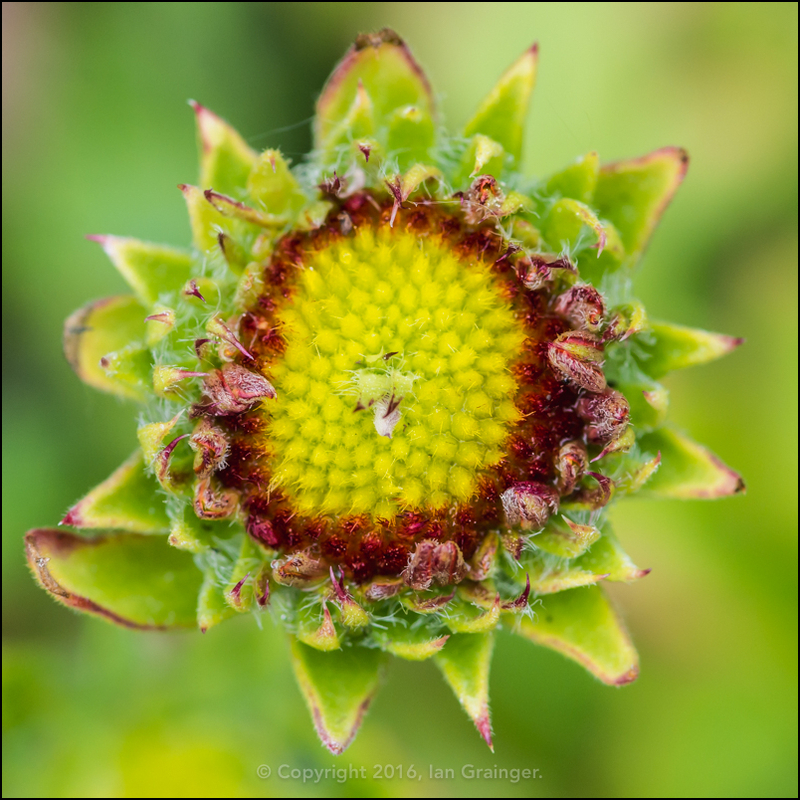 Finally, I'm still waiting for my Gaillardia to fully open. I thought it would have been in full flower this week, but it wasn't to be. Next week maybe?